Find the Christmas gifts you are looking for at Olsen’s Grain. Olsen’s has a large variety of gift items that will bring a smile to everyone on your shopping list. Breyer horses are created by hand, under the watchful eye of the world’s leading equine experts. These model horses begin as artist’s sculptures, are handcrafted and hand-painted with airbrushes and paintbrushes. This process is still done by human hands, not machines. Even today, no two Breyer models are ever exactly alike making it a one of a kind gift for that someone special. Add to someones collection or help them start a collection of Breyers this Christmas, or just give that child the horse they have been wanting! 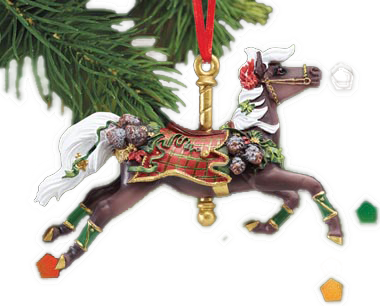 Breyer horse Christmas ornaments make a beautiful handcrafted gift for all ages. We have a variety of styles and designs to choose from. Know a coffee drinker? Give them the gift they are sure to use, a mug makes for both useful and thoughtful gift item. At Olsen’s, we understand that a practical item used in everyday life makes for a great Christmas gift. Canyon Coolers make great Christmas gifts for the whole family. 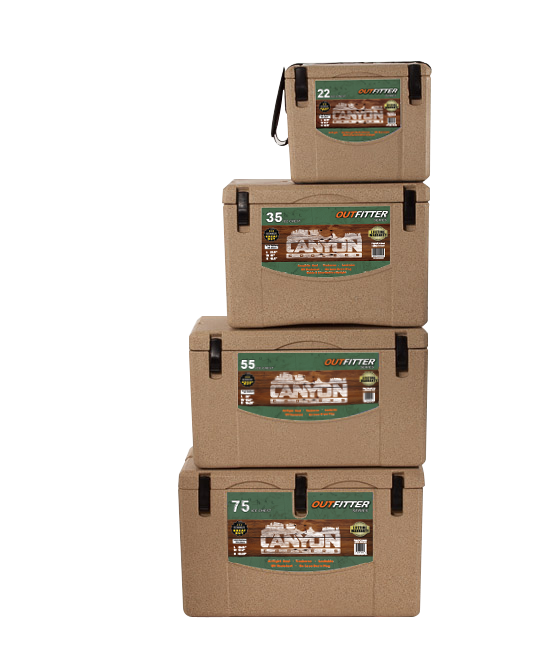 Premium construction and durability make the Canyon Coolers versatile and adaptable. They can be thrown in the truck for a weekend road trip, carried to the river bank with your fly rod in the other hand, or filled full of drinks and food for wherever the party might be. We stock a variety of sizes, come in and select the one that is right for you or your special someone! Don’t forget to stop by your local Olsen’s store to grab a Christmas gift for your furry friend. Our pet toys are safe and make for awesome interactive playtime fun. Great gift for personal, family, and business use. Multi-functional and looks great on any wall. Since it is lightweight it is also easily portable if you decide you need to take it off the wall to bring with you throughout the year. Say “Merry Christmas” or “Happy Holidays” with Christmas Cards from Leanin Tree! At Olsen’s, you can find the perfect Holiday card for your friends, family, and business associates. Choose from cheerful Santa’s, too funny holiday cards, scenic landscapes, and religious sentiments. Here at Olsen’s find fun wooden decorative signs for anyone on your Christmas list! Our very own gift cards make great gifts your pet lover’s needs! This entry was posted on Thursday, November 29th, 2018 at 3:56 am	and is filed under News & Updates, Uncategorized. You can follow any responses to this entry through the RSS 2.0 feed. Both comments and pings are currently closed.